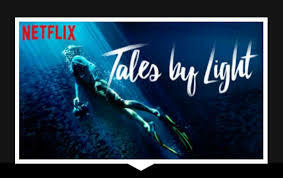 One of my favorite Netflix Original Series is called Tales by Light. Each episode highlights a specific masterful photographer, examining their world in great detail. The techniques they use to capture our world include a wide variety of lenses, and viewing their subjects from multiple levels. From ground level to the top of a ladder, or a bird’s eye view from a hot air balloon or drone, their images reveal more of their canvas, and a far more interesting and beautiful perspective on their subject. Where in either your personal or professional world are you simply too close to a particular subject? Where would stepping back to gain greater objectivity and perspective shed more and better light on your view of your world? This entry was posted in Objectivity, Perspective, Uncategorized, Vision and tagged Barry Demp, Demp Coaching, objectivity, perspective, The Quotable Coach, vision by Barry. Bookmark the permalink.